You only get 140 characters when composing a "tweet" on Twitter, so you need to make the most of each and every character. Your message does in theory go further than your followers - people can use the search tool, and your message may well match their search criteria - so always bear that in mind when composing a Tweet. 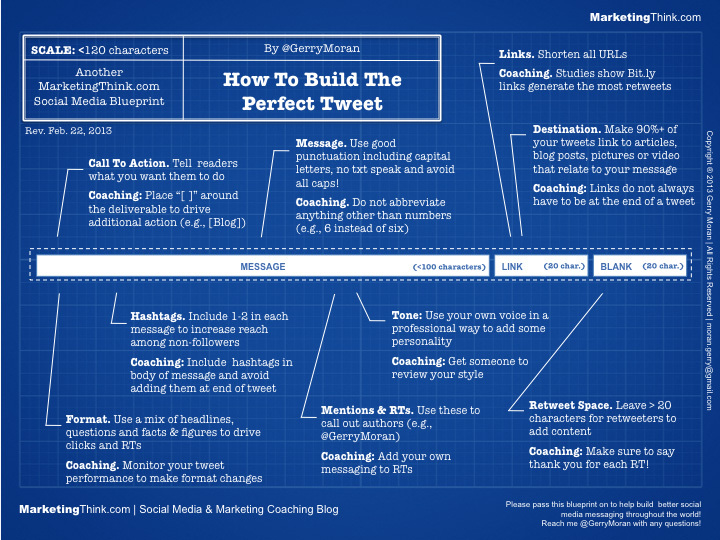 The following infographic below gives you helpful tips on composing the "perfect tweet" (via marketingthink.com).